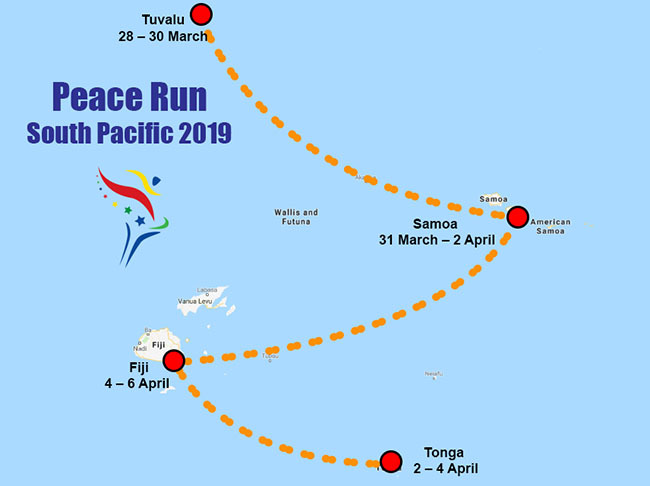 This significant occasion will also be the first time in the 32-year history of the Peace Run that the Peace Torch will arrive in the beautiful nation of Tuvalu. The Peace Run is for all, an expression of our common aspiration for peace and better world. Funafuti Atoll will host the Peace Torch for two days of visits to schools, community groups and government officials. Everyone on the Atoll is invited to hold the Peace Torch and become a part of the Peace Run team during its time in Tuvalu.